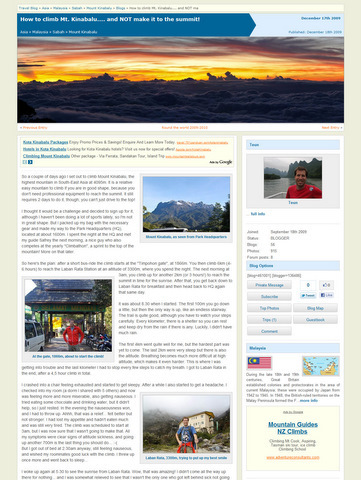 I found a few good bloggers' stories on climbing Mt Kinabalu. This is the story from Teun, a blogger and traveler from Europe who spent years travelling the world. He wrote how he climbed Mt. Kinabalu...and NOT make it to the summit. So this should be inspiring for those who doubt that they can make it to the peak. This is his blog post on climbing Mt Kinabalu. 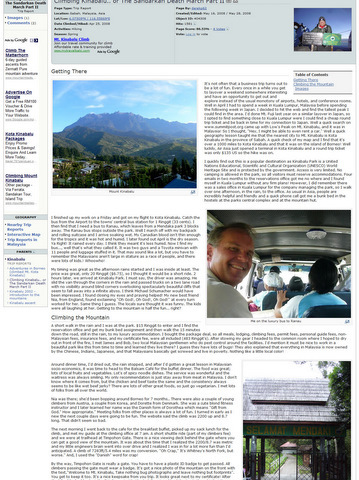 This is a story from a hiker, Derek, from United States. He posted a really funny post poking funs on the things that he expereinced. Read his blog post on climbing Mount Kinabalu here.